We offer companies the expertise of a full-service brand and advertising agency but without the staff commitment, overhead and expense of a traditional marketing agency relationship. What Social Media Marketing (SMM) Companies solution do you use? Helps your brand go viral and increase brand awareness via their "Likes", "Comments" and "Shares"
Kinetic is a social data and marketing technology company. Room 214 provides social media and digital marketing solutions for iconic brands. Ignite Social Media is a Social Media Agency that provides social media marketing for companies with national and international reach to keep up with trends, filter the noise, and help companies like put social media to work. LYFE Marketing is a social media management company. Our company manages social media networks such as Twitter, Facebook, Google Plus and Instagram on your behalf. An automation that will follow and like pictures of target account followers growing your account followers by thousands, increasing likes, engagement and profile visits. Sculpt is a social media agency built for change. In a world where consumer expectations shift as fast as Facebook, Sculpt helps your brand story stay consistent and marketing keep pace. Helps your business grow viral with Instagram by Liking, Sharing, Commenting, Tagging and more. * We monitor all BluFish Consulting reviews to prevent fraudulent reviews and keep review quality high. We do not post reviews by company employees or direct competitors. Validated reviews require the user to submit a screenshot of the product containing their user ID, in order to verify a user is an actual user of the product. Hi there! 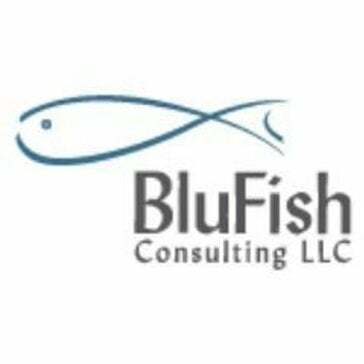 Are you looking to implement a solution like BluFish Consulting?